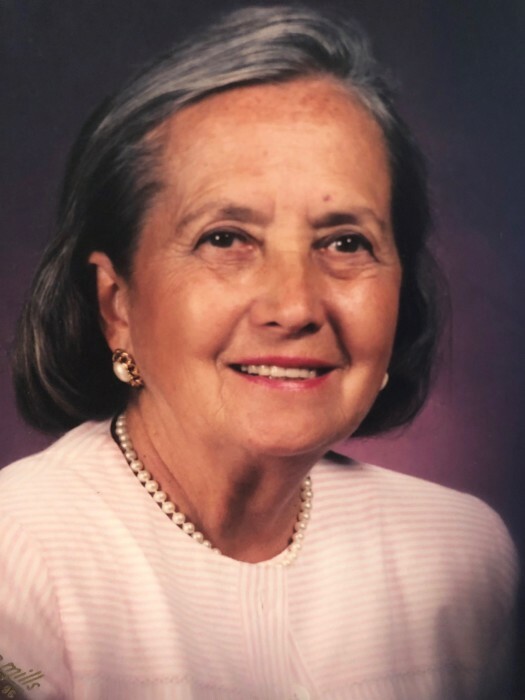 Obituary for Norma A (Richardson) Weaver | Hartzler-Gutermuth-Inman Funeral Home Inc.
Norma A. Weaver, 88, of Elkhart, passed away peacefully Tuesday morning, January 29, 2019 at Greenleaf living center in Elkhart. She was born April 7, 1930 in Union, MI to the late Frederick and Edith (Konneck) Richardson. Also preceding her in death are her husband, John W. Weaver; a son, Steven Weaver, a granddaughter, Molly Weaver; a brother, Frederick Richardson and two sisters, Eleanor Bowman and Jane Flora. Norma graduated from Elkhart High School with the class of 1947 and attended Michigan State University. She started a secretarial position at CTS and married John W. Weaver, former Mayor of Elkhart on April 27, 1952. She and her husband owned and operated Weaver Consulting Engineering. 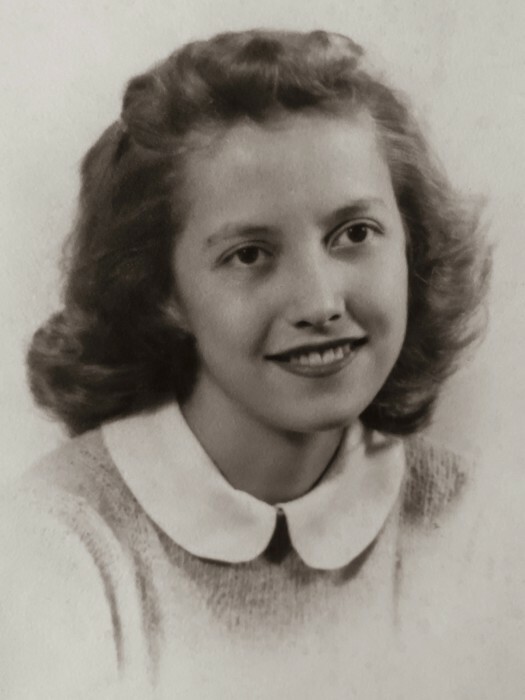 She chaired fundraising for the March of Dimes, delivered Meals on Wheels and volunteered with CAPS. She was also a former member of Elcona Country Club and served as a past president of the Married Women’s Club and Christian Women’s Connection. Her most cherished memories were growing up on a beautiful farm in Michigan and enjoying the peace and quiet of the country. Some of her favorite pastimes included reading, needlework, painting, gardening and playing the piano. In her words, her most prized gifts from God were her family, the quiet beauty of nature, the loving kindness of her parents and the respect and love from her children. Norma’s love of life and adventure are reflected through the stories her grandchildren share of the wonderful, very special times with their grandmother. She always had a twinkle in her eye and a quick wit. She was grateful for the littlest of things and always found blessings in adversity. She left an incredible legacy of sacrifice, selflessness and love of family. The depth of love her family has for her is beyond measure. Surviving her are a daughter, Cynthia Dunlop of Elkhart; two sons, John (Linda) Weaver II of Chicago, IL and Robert (Melany) Weaver of Shipshewana; twelve grandchildren and twelve great grandchildren. Visitation for Norma will be held on Friday, February 1, 2019 from 4 p.m. until 7 p.m. at the Hartzler-Gutermuth-Inman Funeral Home. Friends may also call one hour prior to the 11 a.m. service Saturday, February 2, 2019 at McCoy Memorial Baptist Church 134 St. Clair Ave. Elkhart. The Rev. Raymond Laborde will officiate and burial will be in Keightley Cemetery in Shipshewana. Memorial contributions in memory of Norma may be made to McCoy Memorial Baptist Church.